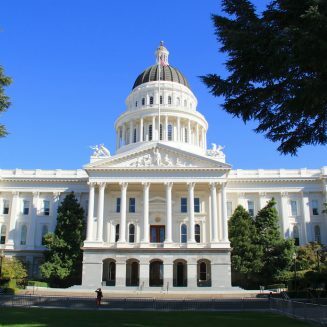 Explore the State Capitol to discover the rich past, the thrilling present and the golden future of California. The historic buildings of the Capitol serve as both a public museum and as California’s working seat of state government. See how the history of the state influences modern lawmaking and the future destiny of the state. Cal Expo is, of course, home to the California Exposition & State Fair in the latter half of August every year, but it also hosts a full and eclectic calendar of events year-round. 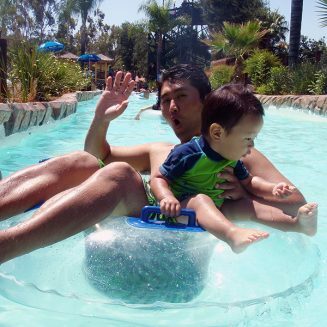 What’s more, there’s “long weekend” Horse Racing wagering and the Raging Waters theme park provides fun for the whole family! Big fun awaits at this annual fair in the latter half of August. Enjoy 350 acres of family entertainment that includes amazing attractions, premier live entertainment, the Magnificent Midway, and amazing exhibits. Explore California industries, agriculture, and the diverse cultural traditions and trends of its people! Raging Waters – Sacramento offers more than two dozen thrilling and family-friendly water slides, pools, “spraygrounds” and other water attractions, including the Cannonball Falls, Honolulu Halfpipe, the Hurricane, Cliffhanger Speed Slides, the Shark Attack Waterslide, Breaker Beach Wave Pool, Calypso Cooler Lazy River, Hooks Lagoon and much more! The Cal Expo Sports & Wagering Center in the Budweiser Grandstand offers wagering on horse racing from California and out-of-state tracks. Enjoy watching the races and other sport events on over 300 TV monitors, free Wi-Fi and the delicious food and drink offerings from the newly renovated Sports Bar. What’s more you can also enjoy the thrill of live harness horse racing at the fairgrounds. Free parking is available! The Cal Expo Harness Association offers the thrill of horse harness racing. Enjoy watching and wagering on these live horse harness races and the casual & fine dining choices of the Club House, including a new Sport Bar! 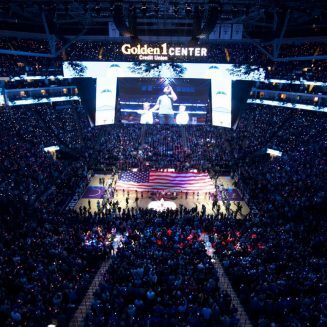 Offering nearly 200 spectator events annually, Golden One Center is the premier venue for sports and entertainment in the Greater Sacramento area, including NBA & WNBA basketball games and events ranging from Disney on Ice, to world-class performers, to monster truck rallies. The home of the Sacramento Kings NBA basketball team is the Sleep Train Arena. Enjoy the thrill of professional basketball as the Capital City’s home team takes on rival teams at the finest venue in the Greater Sacramento area. History lives in Old Sacramento, a world class destination and beloved National Historic Landmark. The California Gold Rush is preserved with a variety of museums. Get a taste of the best California has to offer at restaurants that range from fine to casual dining. Enjoy shopping at world class specialty shops. Explore all the recreational opportunities of the 28-acre Old Sacramento State Historic Park and entertainment venues. The Old Sacramento State Historic Park offers a neighborhood of historic, early Gold Rush structures that include the 1849 Eagle Theater, the 1853 B. F. Hastings Building (former home to the California Supreme Court) and the 1855 Big Four Building. 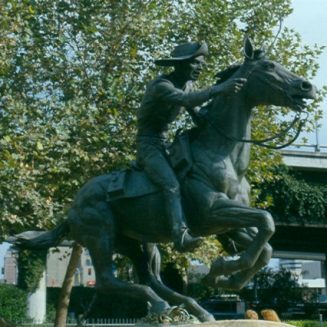 You’ll learn how Old Sacramento earned its historic significance by being the western terminus of the Pony Express and the first transcontinental railroad & telegraph. The California State Railroad Museum offers a combination of historic structures and unique attractions. View meticulously restored historic trains. The Sacramento Southern Railroad takes you on a train ride that’s powered by a steam locomotive. Explore the many exhibits to learn about California’s history with trains. Enjoy a variety of engaging events, shop the museum store and much more! Sutter’s Fort State Historic Park is a stronghold of pioneer heritage. Explore unique artifacts of John Sutter, James Marshall, the Donner Party and more. Learn how Swiss immigrant John Sutter established the agricultural empire of New Helvetia, the first non-Indian settlement in the California Central Valley, in 1839. You’ll learn how he sent aid to the Donner Party, trapped by a winter storm in the Sierra Nevada Mountains in 1847, and how his properties were overrun by gold seekers. The Crocker Art Museum is housed in its original Victorian Italianate building, constructed in 1855 and it continues to provide the leading center for arts in culture in the Capital City and Central Valley region of California. 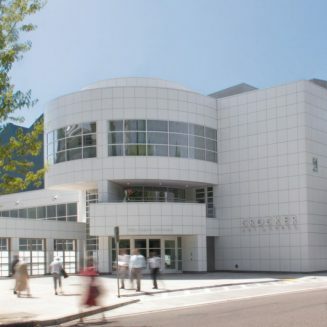 Come view premier collections of California art, world-renowned Old Master drawings, and significant holdings of Asian art and international ceramics, plus 15 changing exhibitions annually. The Sacramento Zoo strives to inspire people of all ages with an appreciation for, understanding of and respect for all living things. Enjoy a stimulating, educational and enjoyable journey through a world of habitats that are home to a wide variety of mammals, birds, reptiles, amphibians and more! The Sacramento River features a wide array of recreational opportunities, where gorgeous scenery, fish and wildlife abound. Enjoy fishing, boating, kayaking/canoeing, tubing, swimming, nature, bird & wildlife photography & watching, hiking and much more. Enjoy easy access to the river from Sacramento Marina, Discovery Park, Miller Park and many other public access locations, plus yacht charter tours and more. 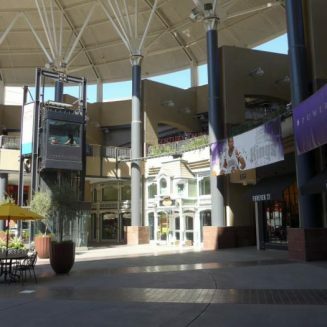 The Downtown Commons is an exciting mix of shopping, dining, entertainment and events. From American Eagle Outfitters to Z Gallerie, you can shop ’til you drop in a wide range of stores. Enjoy the fine-to-casual dining opportunities that go from Hot Dog on a Stick, to the Hard Rock Cafe, to Morton’s Steak House. Take in a movie at the Century Theatre Downtown 7 and enjoy a variety of downtown events. The Sacramento area is home to several casinos, which offer a variety of gaming and entertainment. Enjoy the fun to be had at Cache Creek Casino, Jackson Rancheria Casino, Thunder Valley Casino and many more Sacramento County casinos. 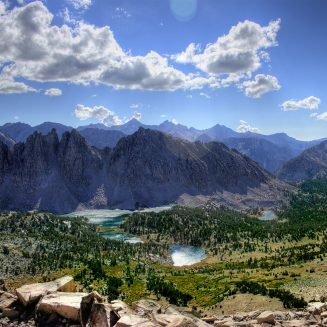 The Sierra Nevada Mountains offer breathtaking scenery, bountiful landscapes & waters teeming with fish & wildlife, and a broad range of recreational activities. Explore the world of adventures that the Sierra Nevada Mountains have to offer and you’ll discover a side of California you may not expect! Escape to the “Blue World” of the southern shore of Lake Tahoe, which runs between California and Nevada. Lake Tahoe is the largest alpine lake in North America and offers a wide variety of outdoor recreation, including hiking, biking, boating, fishing, golf, horseback riding, kayaking and more, in some of the most beautiful countryside in California. Winter sports include dog sledding, ice skating, skiing, and snowmobiling. Enjoy 24-hour gaming at casinos, premier entertainment, excellent shopping and dining opportunities and much more! San Francisco is a land of cool fog and hot entertainment & recreation. 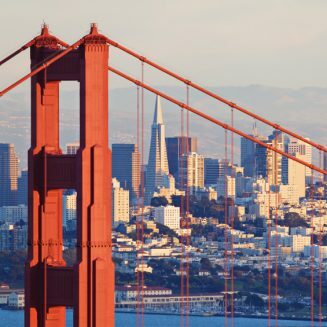 Explore this unique metropolis and enjoy breathtaking views of and from the Golden Gate Bridge, the eclectic offerings of the San Francisco Museum of Modern Art, historic and futuristic attractions, world class shopping & dining and much more! Reno, Nevada is known as “The Biggest Little City in the World” and it offers an exciting blend of gaming at world class casinos, a thriving arts & entertainment scene, and thrilling outdoor activities that covers 100 square miles. With 300 sunny days and 12 inches of precipitation annually, it’s no gamble that you’ll enjoy a great day in Reno!